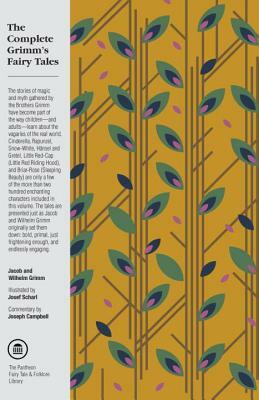 The stories of magic and myth gathered by the Brothers Grimm have become part of the way children—and adults—learn about the vagaries of the real world. Cinderella, Rapunzel, Snow-White, Hänsel and Gretel, Little Red-Cap (Little Red Riding Hood), and Briar-Rose (Sleeping Beauty) are only a few of the more than two hundred enchanting characters included in this volume. The tales are presented just as Jacob and Wilhelm Grimm originally set them down: bold, primal, just frightening enough, and endlessly engaging. JACOB GRIMM (1785–1863) and WILHELM GRIMM (1786– 1859) were born in Hanau, Germany. They published the first of their many collections of German fairy tales in 1812.